When you click on this offer, you will be taken to a page to register to receive 50% bonus miles on purchases from 3/1/15 to 6/30/15. This means that regular purchases will earn 1.5 miles per dollar while US Airways purchase will earn 3 points per dollar. The maximum bonus miles is 10,000 for the period and will be posted 6-8 weeks after the promotion period ends. Remember that since US Airways and American Airlines are merging sometime in the second quarter of 2015, these miles will become American Airlines miles. This is a nice little miles boost and thanks to Miles4More for posting about this offer. 100% US Air Bonus is Back! But Should I Buy This Time? 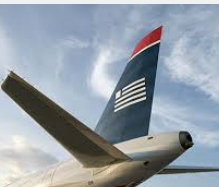 2 Comments on "US Airways CC Offering 50% Bonus on Purchases"
Thanks, just registered for my and wife’s account! Such an odd bank, Barclay is. Nice bonus and they let the customers find out about it from blogs. Good tip.